It may surprise you to learn that many of our animals are just as likely to suffer from dental problems as we are. While these may not necessarily be the same issues, for example, cavities are fairly rare amongst cats and dogs, there are other problems that can affect them. These can result in pain and suffering, as well as a range of other unpleasant and debilitating symptoms such as infection and abscesses, a foul taste in the mouth and even tooth loss. Since our animals are a reliant on their teeth as we are, our pet’s teeth and dental health is just as important as our own. As such, dental support should form an essential part of her overall care. We are committed to helping your pet enjoy a long, fulfilling life with you and your family. 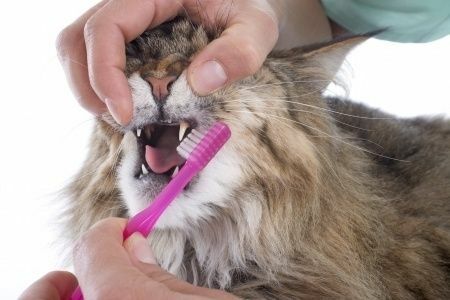 Since poor oral health has also been linked with pets developing a range of general health conditions including diabetes, heart disease, high blood pressure and even cancer, one of the best ways that we can do this is through providing top-notch dental care. Your pet’s health is our priority and we strive to deliver excellent dental care with the compassion and understanding your furbaby needs. A large percentage of your pet’s teeth lies beneath the surface of her gums where it is impossible to assess them using the naked eye. Nevertheless, this doesn’t make this part of her teeth any less important. As such, imaging tests must be used to ‘see’ what is happening with your pet’s dental health below the gum line. In the past, x-rays were the only way of doing this. However, now, digital dental radiography provides a popular, successful and environmentally-friendly alternative to conventional x-rays. The images produced by digital radiography are much more accurate since they can be manipulated for better visualization, such as adjusting the brightness or contrast where necessary, as well as magnifying, rotating, flipping and even measuring aspects of the image. They can be taken extremely quickly and transferred digitally in just a few seconds. When are digital dental radiographs needed? If you would like to find out more about any of the veterinary dental services that we can provide, or if you would like to arrange for your pet to have an appointment with our experienced team, please contact our veterinary offices in Las Vegas, NV today by calling 702-734-6905.